Summer may be almost over, but the London Curriculum have got two fantastic events for children and families to help you banish those autumn blues! 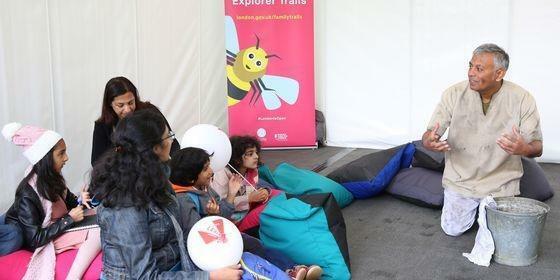 First up is the London Curriculum Children's Festival on Sunday 16 September. Pop down to Potters Field between 1-4pm for free workshops, family activities and more. You'll also be able to pick up a copy of our Family Explorer Trails. These are a great way to explore and learn more about London. The next weekend, City Hall is taking part in Open House London 2018 on Saturday 22 September. Explore the home of London government and learn more about all that we do here. Our Education & Youth team will be on hand running free family activities and workshops. Find out about our five new 'Career trails' which offer a guide to working in London - you'll also be able to pick up a copy of our first trail - Southwark. Find out more about the event here. There's no need to book for either event, just turn up! More information can be found here or you can get in touch with the team.